The upgraded version of Poe Dameron™s X-Wing with boosted accelerator pod as seen in Star Wars: The Last Jedi. Resistance engineers have retrofitted a new device for Poe to give an extra edge in combat, allowing Poe much needed speed to outmaneuver the First Order. 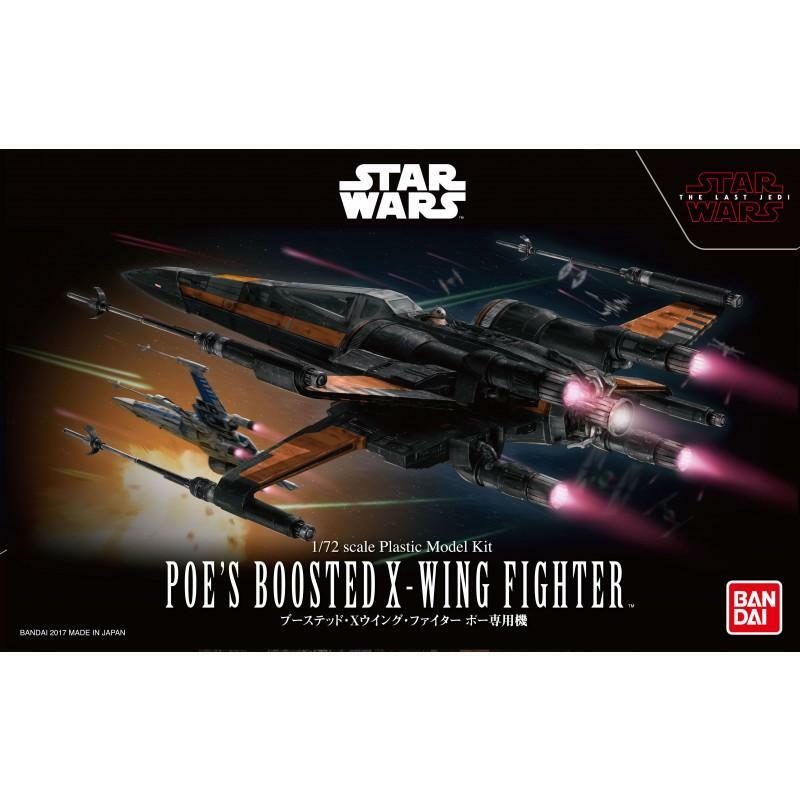 Utilizing Bandai's trademark color injection molding techniques, the 1/72 X-Wing features opening and closing S-foils, laser effect parts that can attach to the wings, a cockpit with 2 different canopy options, and 2 display stands. A nipper or sprue cutter (sold separately) is required to remove parts from runners, but does not require glue to assemble. 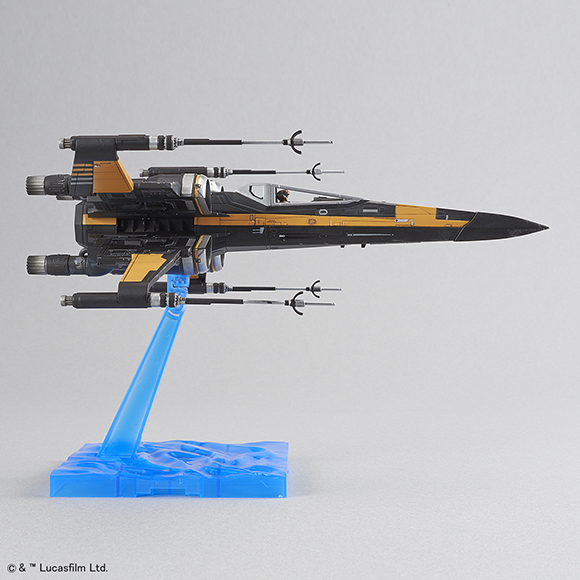 Set includes 2 types of Dedicated display base stands (1 Aqua Clear and 1 Black), Pilot x1, BB-8 x1, RO-H2 x1, Laser effect part x 2, Landing gears x 1, 2 types of canopies (frame and clear version). Parts for the original version from â€œStar Wars: The Force Awakensâ€ are also included. Water-transfer decal x 1 Marking sticker x 1.